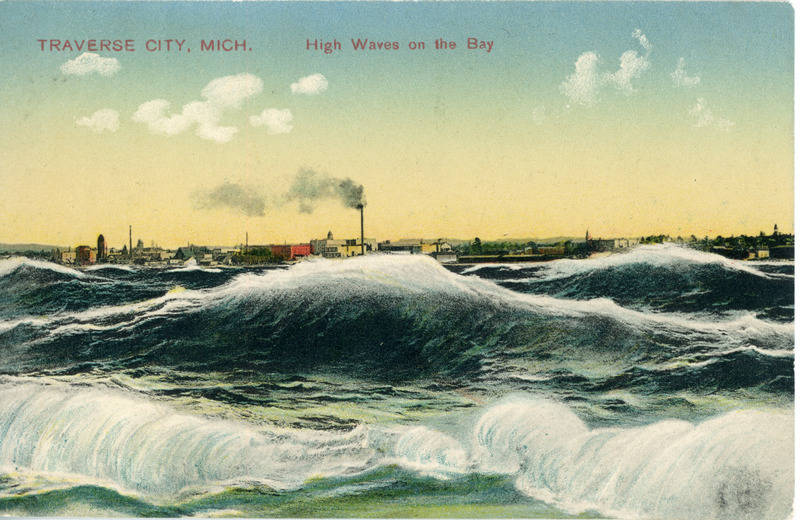 Colored postcard image of Traverse City as seen from Grand Traverse Bay with picturesque breaking waves in foreground. Orson W. Peck, Traverse City, Mich. This image may be protected by copyright law. Contact the Traverse Area District Library for permission to reproduce, display or transmit this image. Orson W. Peck, Traverse City, Mich., “"High Waves on the Bay, Traverse City," ca. 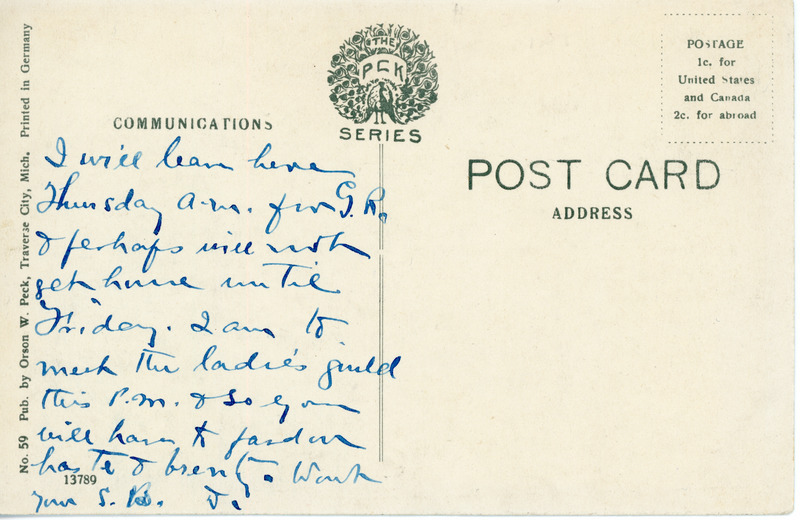 1920,” TADL Local History Collection, accessed April 21, 2019, https://localhistory.tadl.org/items/show/1975.